195 Log Cabin Rd., Kennebunkport. 207-967-2800. 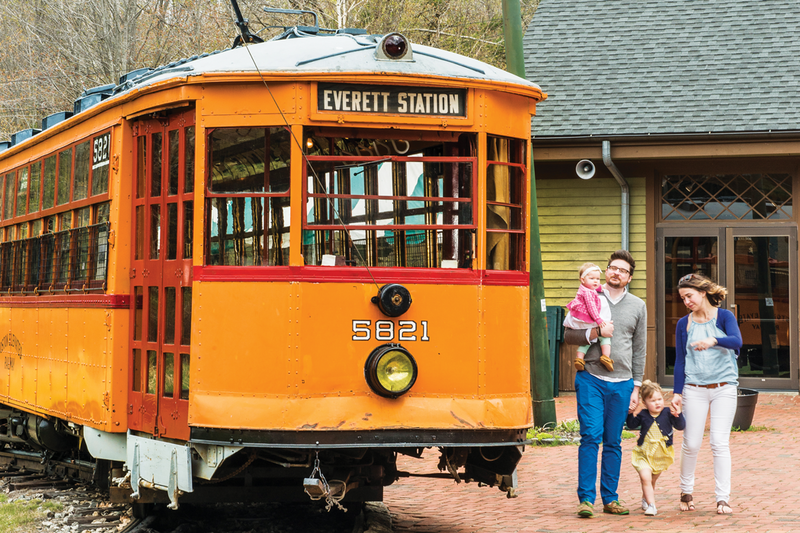 You don’t need to be a railway buff to enjoy the cool design and retro mystique of Kennebunkport’s Seashore Trolley Museum. “For the younger people, street cars are a new thing. For the older people, it’s memories,” says Seashore Trolley Museum volunteer John Middleton, nicely summing up the broad appeal of this sprawling electric-railway museum. Its roots date to 1939, when three railway enthusiasts chipped in to buy a single trolley car for $150 from the Biddeford and Saco Railroad as the towns were transitioning to buses. The trio restored that car and moved it onto leased farmland, where they rebuilt a section of railway that once connected Kennebunkport to York Beach. Today, the museum, a nonprofit run by devoted trolley geeks, owns some 250 vintage streetcars and railcars from New England and beyond. Restored vehicles are displayed in huge barns, while others await restoration on tracks spread across the 100-acre property. And yes, you can ride: hop on a car for a scenic, narrated, 20-minute round-trip on 1.5 miles of track. 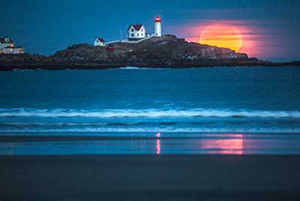 Reservations fill up months in advance for the five-hour trip to rocky Machias Seal Island, nine miles out to sea and host to Maine’s largest colony of breeding puffins. With good reason — friendly, knowledgeable Captain Andy Patterson is the state’s only guide licensed to take visitors ashore (weather-depending), where small groups watch from a blind as thousands of puffins, razorbills, murres, and other seabirds strut outside. Seal and porpoise sightings are not uncommon. A straight-up bucket-list experience. Sugarloaf Mountain Resort. Carrabassett Valley. 207-237-6812. Can’t beat the view at the Sugarloaf Golf Club. 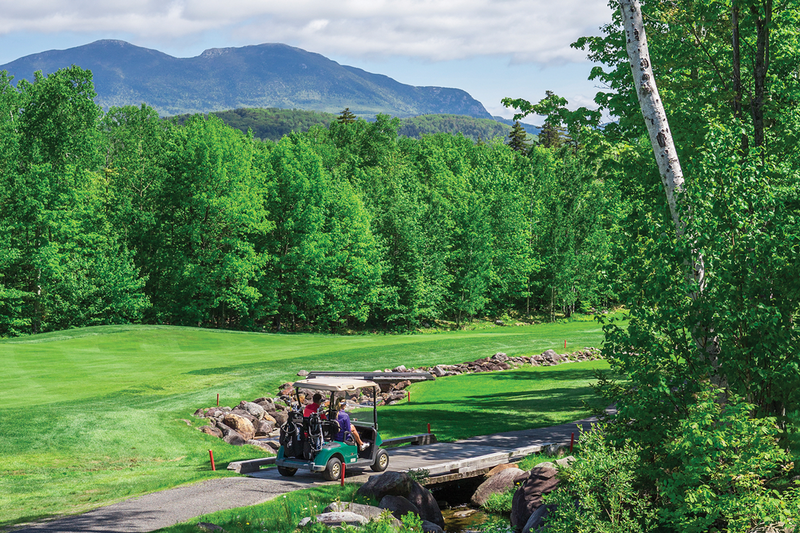 We’re with Golf Digest, which has named Sugarloaf Maine’s top public course something like 30 times since the mid-’80s. The fabled 11th hole alone is hard to beat, with epic views of the Bigelow Range and a tee that looks 130 feet down at the green. Thanks to recent re-sodding efforts, a mild winter, and a $1.7 million investment a few years back in high-tech, high-efficiency irrigation, the Sugarloaf fairways have never looked better. Never mind scenery, never mind solitude — if what you want most is to catch lots of big fish, head out on Cobbosseecontee Lake, west of Augusta. The relatively shallow lake is teeming with monster bass: mostly largemouths, with a few smallmouths to keep things interesting. Sometimes just called Cobbossee, the lake boasts a variety of aquatic environments — drop-offs, weed beds, submerged boulder fields — that hold fish well. Lily Pond (an inlet on the eastern side that’s technically part of the lake) is our go-to spot for largemouths. And all right, you might just find scenery and solitude too. In fairness, a number of Maine resorts deserve kudos for their Herculean snowmaking efforts during last year’s letdown of a winter, but Sunday River went the extra mile. A snowmaking pioneer, the resort fired up its guns to open its season on October 19 (!) and stuck it out until May 1 — an impressive 196-day season in a lousy snow year. 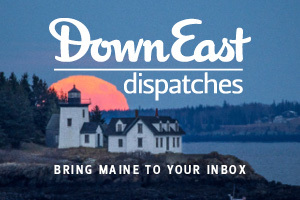 The industry mag Ski Area Management honored Sunday River’s snowmaking team with an annual award, and it wasn’t the only entity to take notice — in February, the resort’s 2,000-snowgun system cranked so hard, it showed up as a small storm on a Portland news station’s Doppler radar. 112 Milford Rd., Grand Lake Stream. 877-796-5558. There’s just something special about Weatherby’s in Grand Lake Stream.  During the spring and fall, an angler can walk from his or her cabin right into the stream for some of the best landlocked salmon fishing in the country. In the summer, owner Jeff McEvoy and his guides run boats through the whole St. Croix River watershed — for our money, one of the best smallmouth bass fisheries around. When hunting season arrives, northern Washington County becomes the state’s epicenter of woodcock hunting. Plus there’s the rich history of the place: slugger Ted Williams, flying ace Jimmy Doolittle, and Korean War hero General Matthew Ridgway all fished here. 4 Sea View Dr., Lincolnville. 207-236-3195. The Lincolnville Motel is one stylish throwback. 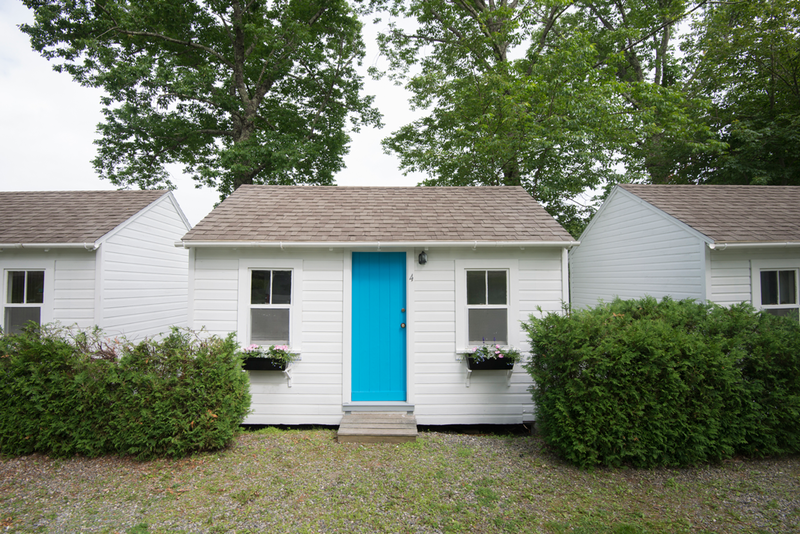 Reasons we love the Lincolnville Motel, which opened last year on Route 1, a stone’s throw from Camden Hills State Park: 1) it feels like summer camp for grown-ups, and 2) it’s obviously not just for from-away tourists. Camden native Alice Amory bought the long-neglected property last spring and restored it on a shoestring budget, with a team that included many friends and family. 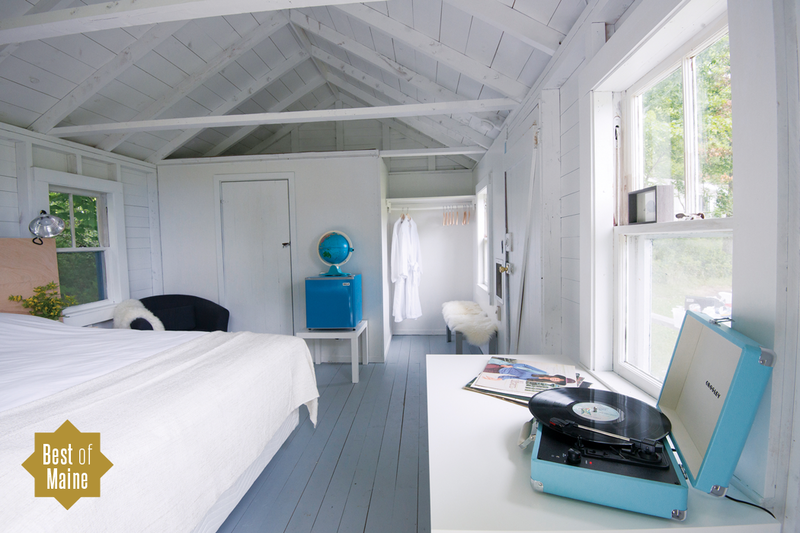 The result is a retro roadside motor inn with cheery housekeeping cabins, decks, a fire pit, and interior spaces that feel like something out of a hip Swedish design blog: think all-white, all-cotton linens, sheepskins, and turquoise record players. Still, Amory, who lives on site and does the lion’s share of the upkeep, has intentionally kept things fun and super approachable. Rooms start at $75 and, even at peak season, never go above $200. A giant inflatable swan floats in the pool, and guests are encouraged to play games in the common area or throw something on the shared grill. Amory’s future plans include adding a commercial kitchen to serve food to guests and, down the line, a community sauna club. What more could you ask for? Well, how about solid WiFi and, thank god, no TVs. Grafton Notch State Park, Bear River Rd., Newry. 207-824-2912. 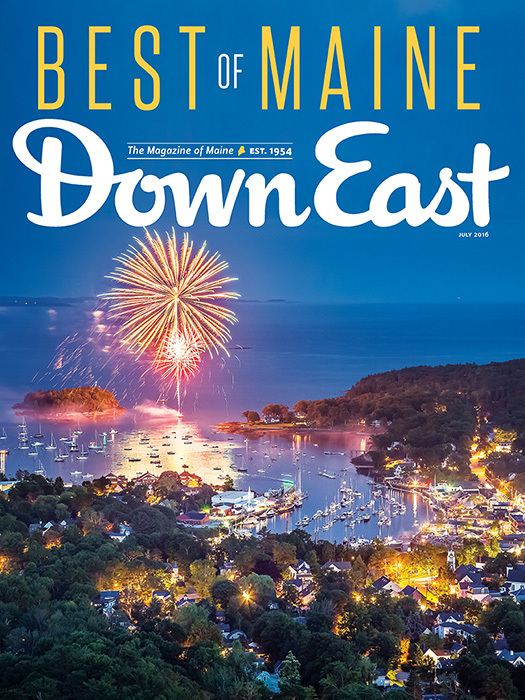 With its cable handrails, iron rungs, and ladders, the Eyebrow Trail on Maine’s fourth-highest mountain (4,170 feet) is not for the faint of heart, but it’s great fun with amazing rewards. The steep, rugged alternative to the lower part of the Old Speck Trail, the Eyebrow Trail passes along the edge of Eyebrow Cliff, overlooking Grafton Notch. Either trail will take you to the wooded summit, where an open observation tower awaits — and what a view! Before you are the rugged Mahoosucs and the Presidentials, billowing all the way to the horizon. 56 Commercial St., Portland. 207-774-7871. 97 Eldridge Rd., Wells. 207-646-8493. 46 Clubhouse Dr., Belgrade. 207-495-4653. 88 Grandview Ave., Boothbay Harbor. 800-553-0289.